We’ve already seen some of the new leaders that will feature in the next iteration of Firaxis’ upcoming strategy video game Civilization VI, including Theodore Roosevelt, Queen Victoria, Cleopatra and Japanese leader Hojo Tokimune. And now Japan’s Asian neighbour China is the focus of the latest Civilization VI preview video, with the game’s Chinese civilization promising to be one of the most fun to play in the game. For starters, the Chinese builder units in the game give players one extra use before disappearing, meaning that building improvements on tiles (like roads) can be done more quickly when playing as the Chinese, plus their builder units can also help speed up the construction of Wonders of the World like the Colossus of Rhodes. And speaking of Wonders of the World, one novelty in this upcoming Civilization game is that the Great Wall of China will no longer be a wonder which can be built by any civilization, but rather a specific tile improvement for the Chinese. This will give the game’s China civilization a major defensive boost in the early game, although taking into account that the real Great Wall took hundreds of years to build and plenty of manpower to maintain, players will have to micromanage its construction and maintenance to reap its benefits. 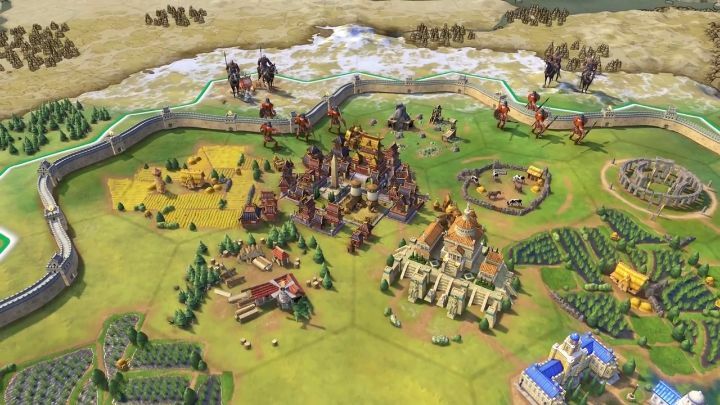 Judging by these previous videos, it looks like Civilization 6’s new leaders and civilizations will be as engaging and entertaining to play with as in earlier entries, so it would certainly be a great thing if Civilization 6 managed to live up to its illustrious gaming heritage when it ships later this year.